Posted on May 1, 2012 by C.E. 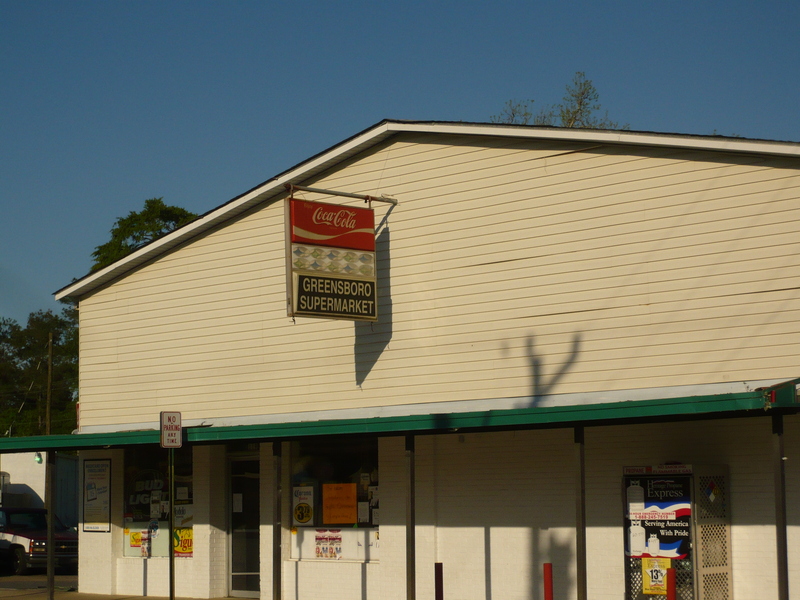 At the Greensboro Supermarket, you can get dried chiles, a game of pool, a flat-top hair cut and the most authentic tacos in the Tallahassee area. ∆ This Saturday, May 5, encompasses two events traditionally celebrated with lots and lots of alcohol: The Kentucky Derby and Cinco de Mayo. If you’re looking to shake up your mint julep for this weekend’s run for the roses, check out the Kitchn’s roundup of five non-basic julep recipes, including a Cherry Julep made by my favorite talking head, MSNBC host Rachel Maddow. To put a spin on the traditional Cinco de Mayo margarita, try Rick Bayless’ Champagne Margarita or Hotel California Jamaica Margarita. 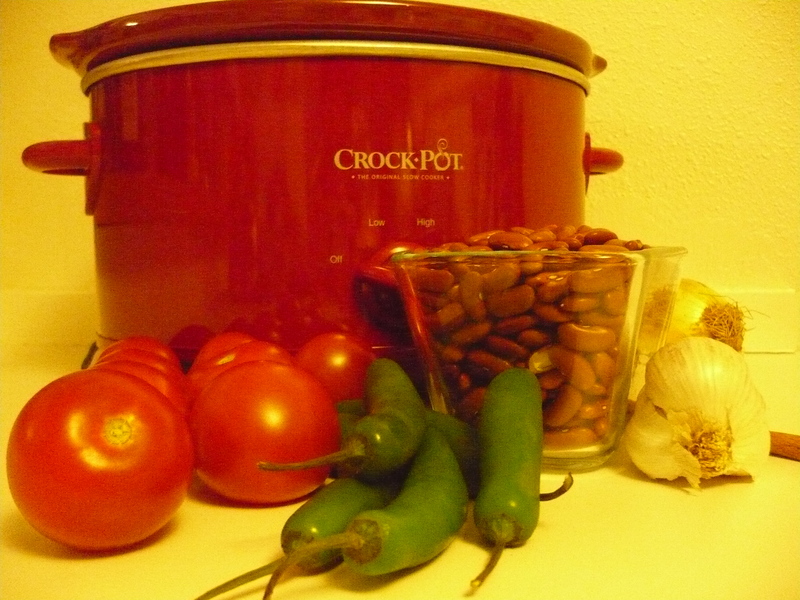 While you’re over at Bayless’ site, take a look at his collection of recipes for salsas, appetizers, entrées and desserts, too. The Chicago chef is one of our country’s great masters of Mexican cuisine. ∆ With a Mexican native in my casa, we won’t be doing anything too splashy for Cinco de Mayo, since the Professor likes to point out that the holiday isn’t widely celebrated in his ancestral land. (It’s more akin to Casimir Pulaski Day than the Fourth of July). We’re always up for eating authentic Mexican food, however, so this weekend we’re planning to visit our favorite taqueria in the Tallahassee area. We love the picadillo sopes, bistek tortas and barbacoa tacos served at the little dining counter in the back of the Greensboro Supermarket, 119 Green Ave., Greensboro. The taqueria’s housemade tomatillo salsa alone makes the 30-mile drive worth it. The Greensboro Supermarket carries a variety of Mexican packaged goods, including all kinds of dried chiles, that can be tough to find locally, and also houses a pool hall and a hair salon. (Yes, I said hair salon). Now that’s one-stop shopping. ∆ Have you dined at any of the eateries on the just-released list of the World’s 50 Best Restaurants? I haven’t yet visited the heavy hitters ranked by Restaurant magazine, but several of my friends have marveled over chef Grant Achatz’s masterpieces of molecular gastronomy at Alinea. The Chicago restaurant, which claimed the No. 7 slot, is one of eight American eateries on the list published annually by the London-based magazine. Noma, a restaurant in Copenhagen, Denmark, nabbed No. 1. Personally, I’d love to compare the two menus of traditional and creative dishes offered by Biko, the Basque-Mexican hybrid restaurant in Mexico City that landed at No. 38 this year. AmandaD lists the best places to eat that she discovered on her recent trip to New York City. 1. Molly’s Cupcakes, located on Bleeker Street in Manhattan, won the season finale of “Cupcake Wars.” After eating one of their cupcakes, I can tell why. The décor in the store is modern and fun — they have swings! 2. 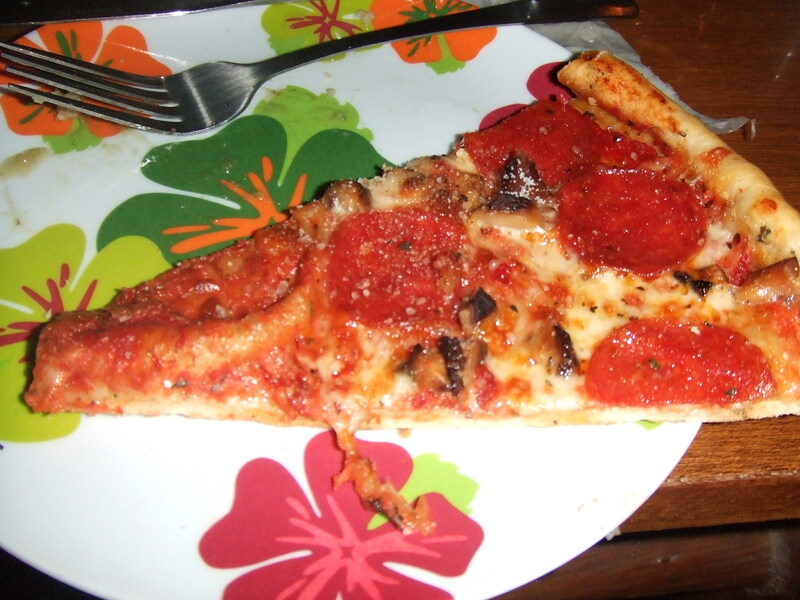 Lombardi’s Pizza in Manhattan’s Little Italy claims to be the first pizzeria in the U.S.A. They serve a traditional Italian-style pizza … and it’s AWESOME! 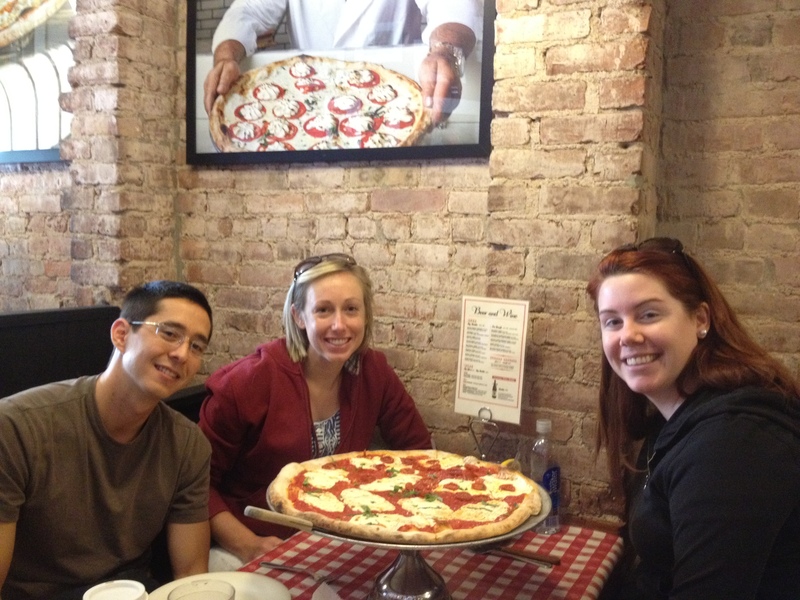 Ryan, Kim and I enjoyed the signature margherita pizza at Lombardi's Pizza. 3. Bare Burger in Astoria, Queens, serves fresh burgers made from locally farmed grass-fed meat. They have everything from veggie burgers to ostrich burgers! You pick the type of burger you want, then choose the toppings. 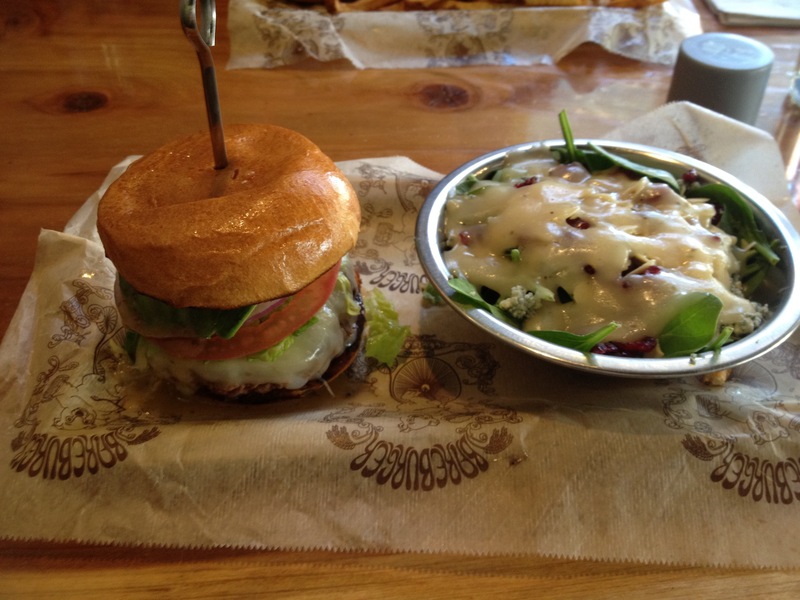 The Western grass-fed beef burger at Bare Burger. 4. 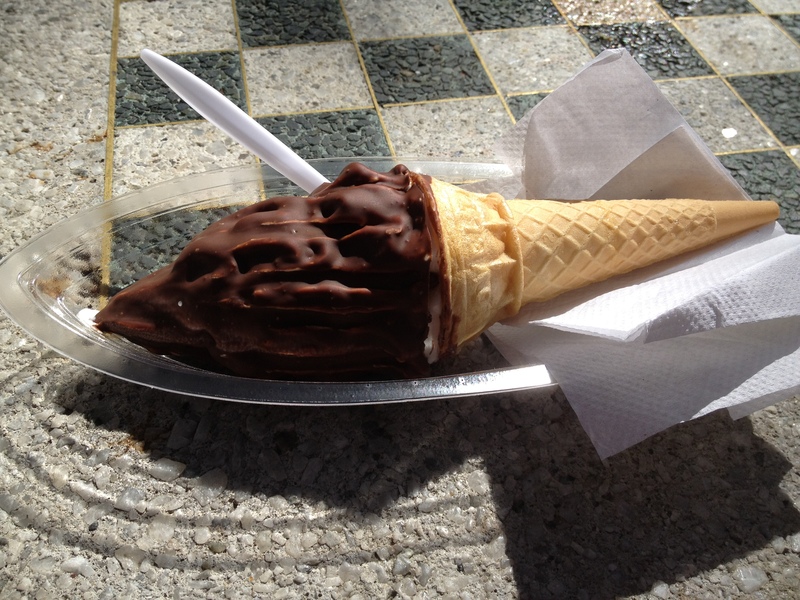 Big Gay Ice Cream, located off East 7thAvenue in Manhattan, is totally fun and DELICIOUS! There’s a sparkly rainbow painted on the wall when you walk in and the ice creams are listed on a chalkboard to your right. I had the Salty Pimp and it ROCKED! Big Gay Ice Cream's Salty Pimp has caramel, nuts and chocolate. 5. S’MAC in Manhattan’s East Village is a macaroni and cheese restaurant = OMG!!!! 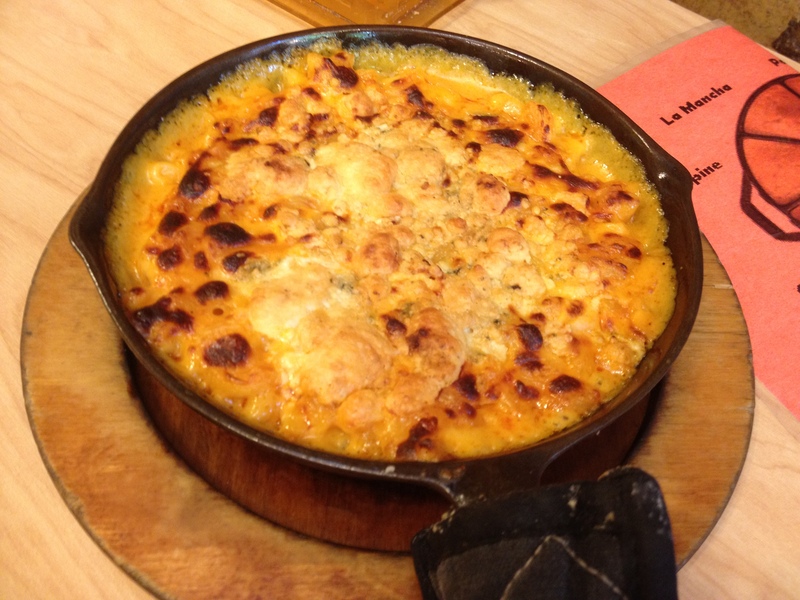 The buffalo chicken mac 'n' cheese with blue cheese crumbles was my favorite dish at S'MAC. In February, I was in desperate need of a vacation so I convinced my Mom, Dad, and boyfriend, Ryan, to buy a Living Social deal to Belize. We spent a week in Hopkins, Belize, and loved it! Belize is the perfect combination of adventure, tropics and relaxation. Plus (this was a key part in convincing my Mom and Dad), the people speak English. 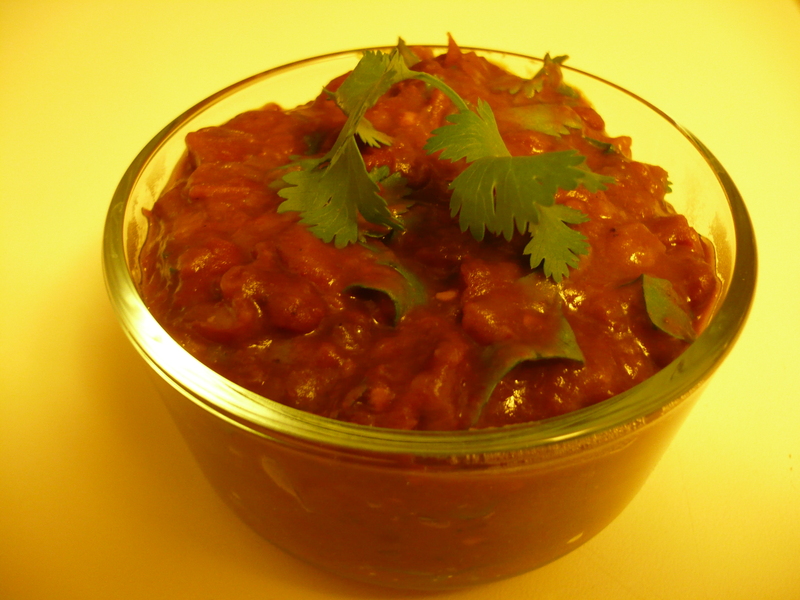 Unlike its surrounding countries, Belize has a Caribbean flair, which makes the food AWESOME! Hopkins, where we stayed, is a small, remote fishing village, so it didn’t take us long to find the good places to eat. Note: The food prices in Belize are higher than what I had expected. On average, it cost us $15 a person per meal. So if you are traveling on a strict budget, plan ahead and do your research to find the lower-priced restaurants. Hopkins is a Garifuna village on the east coast of Belize. The following are a few of the best and unique places we ate at in Hopkins, Belize. You have to travel all the way to the north end of Hopkins until you feel like there is nothing left to find, and there you will find Driftwood Pizza. You’ll park your car as close to the beach as possible, then walk through the sand to the restaurant. You will then be greeted with warm smiles and Caribbean music. We had the most amazing fresh conch fritters as an appetizer, with pizza to follow. The small kitchen is open, so you can see the cooks making your food. It took a while to make, but it’s well worth it! The ingredients are all fresh and the dough is delicious. With this being said, if you could see how much of a trek it is to get to Hopkins, you would truly appreciate the freshness of this pizza. 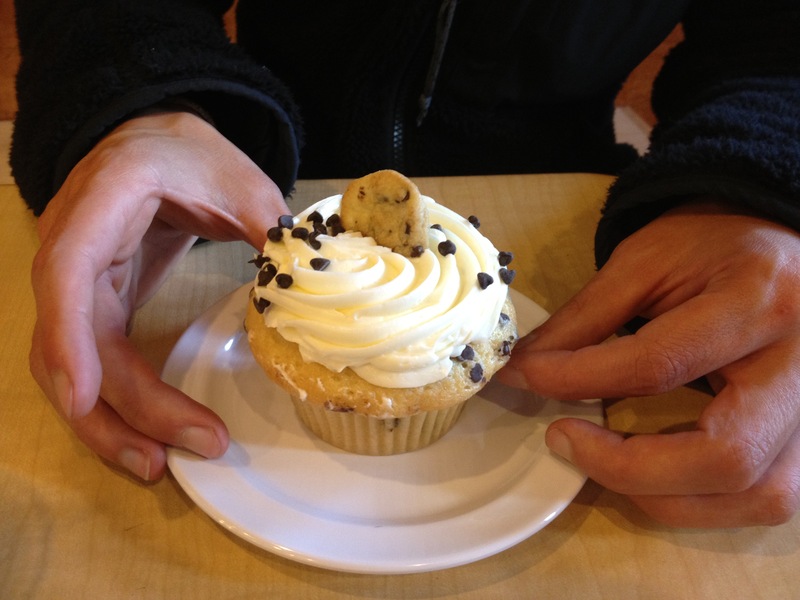 Driftwood is a fun place for delicious, casual, fair-priced food. Driftwood Pizza serves great slices. Chef Rob’s is located right on the water, so you can see and hear the ocean as you eat an amazing four-course meal. Chef Rob, a trained French chef, prints a new menu each day based on what is caught that day. We had the four-course meal (you can order items separately if you want) for about $30 a person, which included appetizer, soup or salad, entrée and dessert. Aside from the food being delicious and beautiful, Chef Rob came out to every table and made sure the guests were pleased — something I have NEVER experienced. Love on the Rocks also is owned by Chef Rob. The concept is one I’ve never seen. It’s based on the Mayan technique of using hot lava rocks to cook food. At Love on the Rocks, you sit outside and wait for your lava rock to heat up. 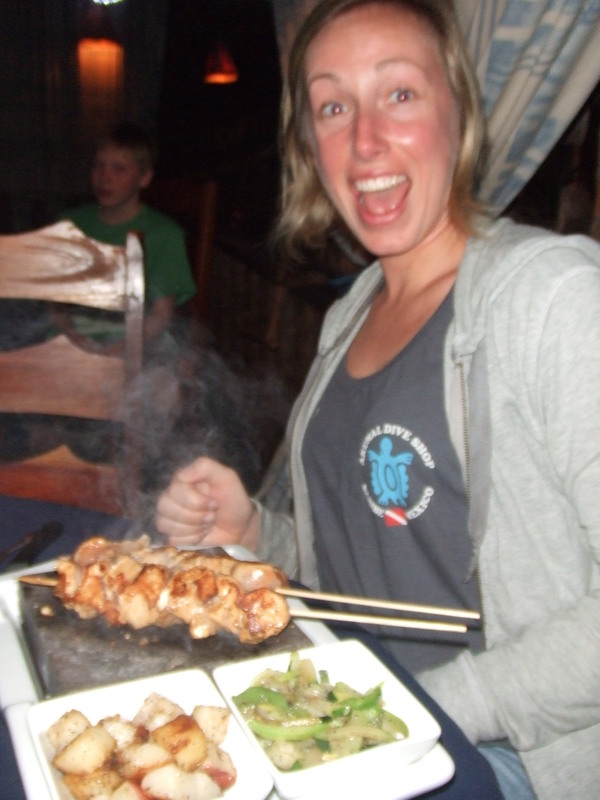 The food is brought out to you raw, then you cook it on your lava rock and apply sauces as desired. I had chicken with a peanut sauce; it was great and a lot of fun! A fun meal at Love on the Rocks. 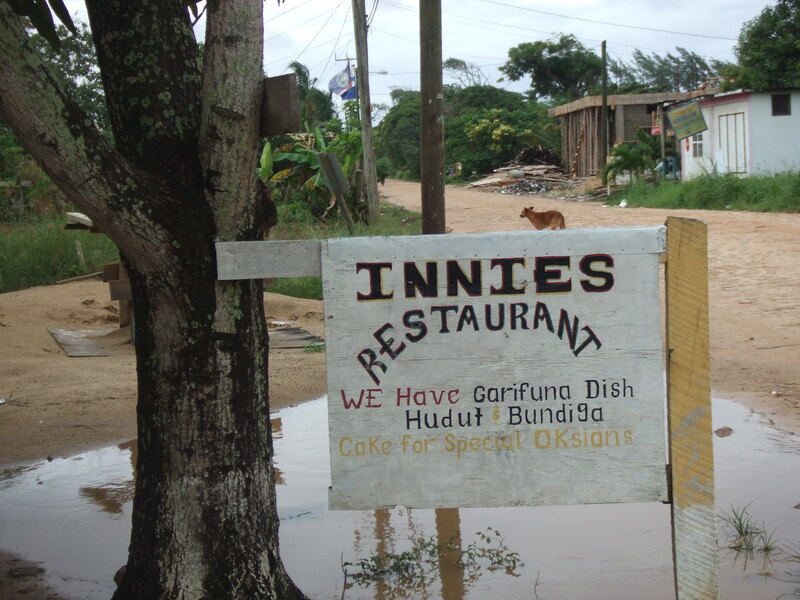 Innie’s Restaurant offers traditional Garifuna food in a homey atmosphere. The prices are really reasonable and the food is outstanding. I had the grouper fingers. The grouper was caught that day, and it was out of this world. Not one ounce of grease and so fresh. The prices at Innie’s are very reasonable compared to surrounding restaurants. 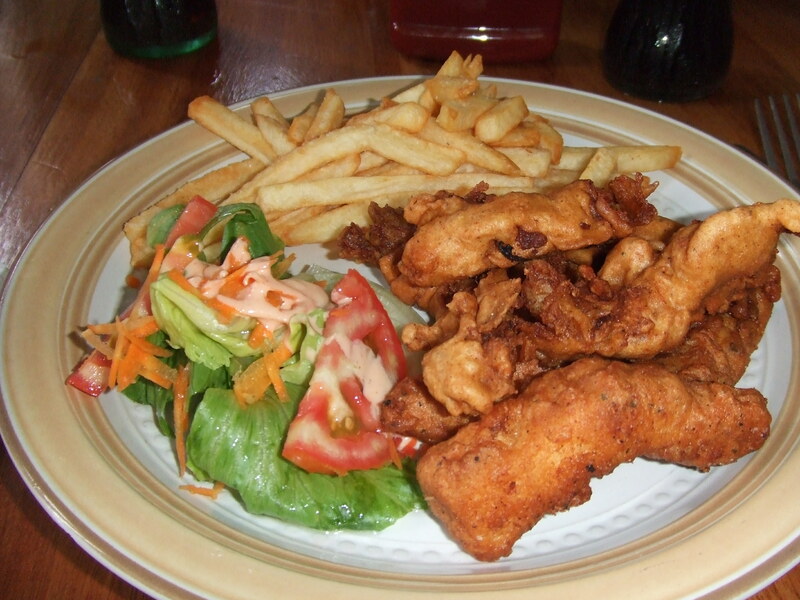 If you are in Belize on a budget and want a great place to eat for breakfast, lunch, or dinner, Innie’s is the place! Grouper fingers at Innie's Restaurant. Innie's is a great place to grab an inexpensive meal. Lastly, for my fellow food lovers, when you go to Belize you must have Marie Sharp’s hot sauce. It’s made only in Belize, and it’s awesome! It comes in many levels of heat, with warnings like “do not use to play tricks on the weak or elderly” — hah! Everything from the food, people, and natural beauty make Belize a place worth visiting. If you ever get the chance to go, let me know. I’d love to hear about your great finds — food and adventure! Posted on April 19, 2012 by C.E. 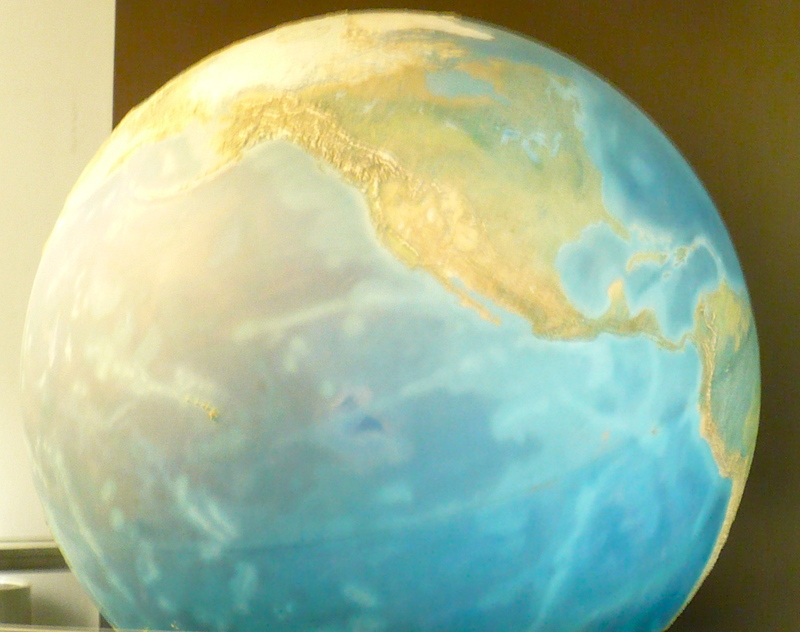 With Earth Day coming up on Sunday, April 22, we’re all being bombarded with tips on how to go green. 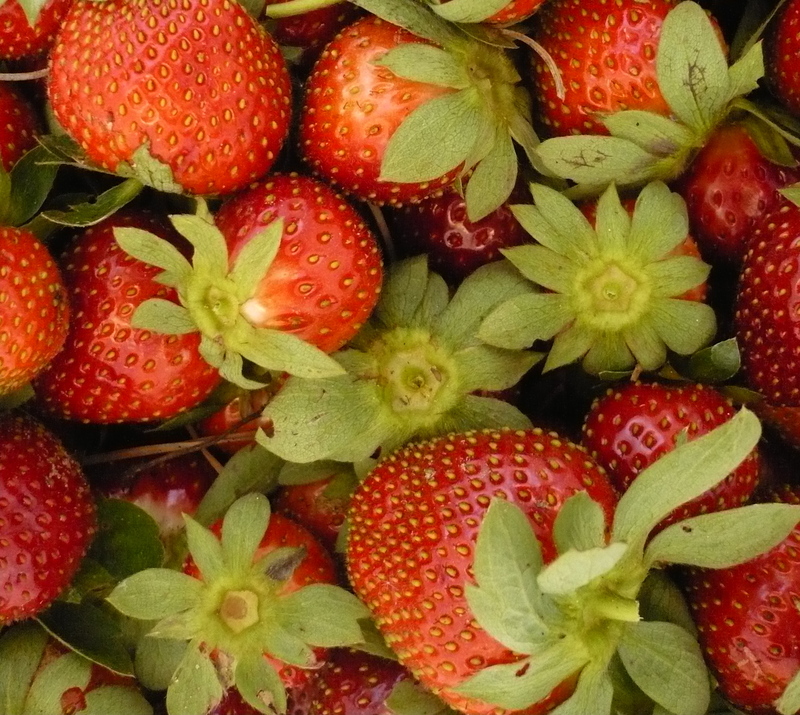 Here at Tallahassee Bite By Bite, we believe that supporting locally owned businesses, from farmers markets and shops to bars and restaurants, is an environmentally friendly act that we can choose to make every day of the year. To find your new favorite Tallahassee business, check out Locally Owned Tallahassee and Local Business Saturday. ∆ Tallahassee’s fleet of food trucks will be out in force during Girlz Rock!, a night of music and dance performances by local women that’s part of Tallahassee PRIDEFEST 2012. The event begins at 7 p.m. Friday, April 20 at the All Saints Hop Yard, 453 All Saints St. Admission is free. Beer will be served by the Hop Yard and the Fermentation Lounge; a wristband for folks 21 and older costs $10 and includes 2 free drinks. ∆ Friday, April 20 is the most wonderful day of the year for local mac ’n’ cheese fanatics. Bread & Roses Food Cooperative will host the 12th Annual Vegan Mac and Cheese Bake-Off from 5:30 p.m. to 8:30 p.m. at 915 Railroad Ave. in All Saints. For a suggested donation of $2, you can sample all the entries in three vegan categories: traditional, innovative and dessert. If you’ll be entering your own killer mac ’n’ cheese recipe into the competition this year, arrive 15 minutes before the event begins with your dish, a list of ingredients and serving utensils. For more information, call Bread and Roses at 425-8486 or email breadandrosesfoodcoop@gmail.com. ∆ Earth Day in the Park, Tallahassee’s annual downtown celebration of all things green, will be held from 1 p.m. to 5 p.m. on Sunday, April 22 at Ponce de Leon Park. The family-friendly festivities include garden and aerobics demonstrations, music, one-mile walking groups, and fitness, organic food, wellness and sustainability vendors. Admission is free. You can find out about additional Earth Day Week events around the area at the City of Tallahassee website. Posted on April 17, 2012 by C.E. 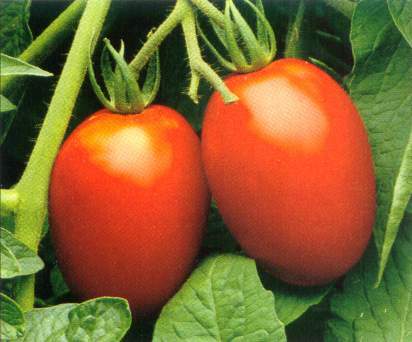 April is National Florida Tomato Month. ∆ Happy National Cheeseball Day! Don’t have the time (or the stomach) to ball up a wad of brie so you can celebrate? Well, Sunday, April 22, is National Jelly Bean Day. And you’ve got all of April to commemorate National Florida Tomato Month, along with National Soft Pretzel Month and the oh-so-unspecific National Food Month. Where did all these food holidays — seems like there’s at least one for just about every day on the calendar — come from, anyway? Bon Appétit explains it all: How National Food Holidays Became a Thing. ∆ When most people look at a hunk of cheese, they envision a snack or a meal. Painter Mike Geno, however, sees artistic inspiration. The Philadelphia artist has made a career out of painting portraits of beautiful blues, richly textured cheddars and other visions de fromage. Jeff Gordinier’s profile of Geno for the New York Times, Like the Mona Lisa, but on a Cracker, includes some delicious tidbits about the artist’s process (yes, he does devour his subjects after he’s polished off a canvas) and a slideshow of some of his works. ∆ Know what goes great with cheese? Beer. If you’re looking for a new microbrew to savor, the Trot Line’s got you covered. The Atlanta-based website’s coverage of Southern culture includes detailed, thoughtful reviews of beers from all over the region. Southern Pecan Nut Brown Ale from Mississippi brewery Lazy Magnolia, for example, sounds like a must-try to me. If you prefer the hard stuff, The Trot Line’s writers have a lot to say about bourbon, as well.